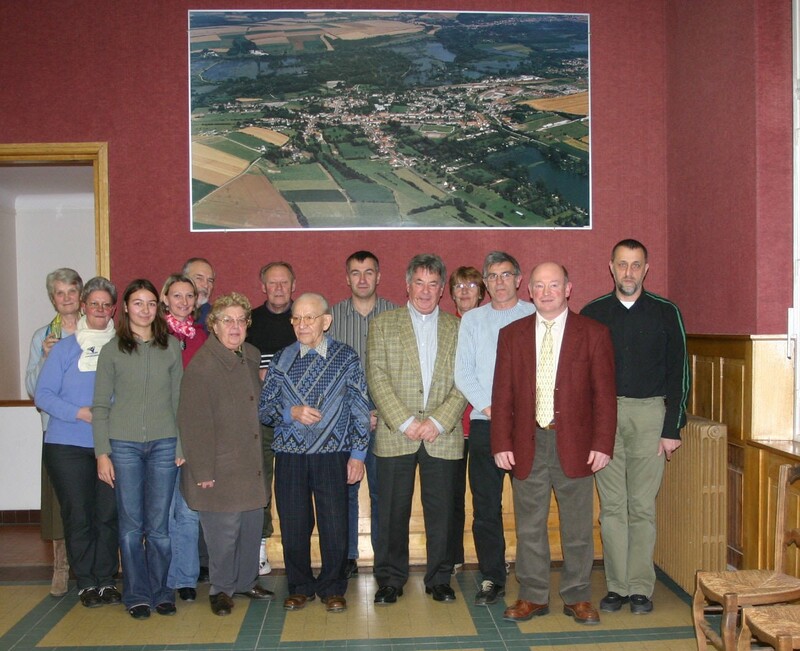 On 14th of January at half past five in the evening (french time), was the annual public meeting of the French twinning committee, at the town hall of LONGPRÉ . At this occasion, we had a vote for the new committee members and a reward for the services of René and Marie Rose FLAMENT , the correspondent of Mr and Mrs GOLDUP, for 25 years in the " JUMELAGE ". Behind the camera Chantal DEFEBVIN and Patricia VERMOEREN. Ce 14 janvier 2006 l'Amicale Franco Anglaise LONGPRÉ EASTRY à tenu son assemblée générale, dans la grande salle de la mairie de LONGPRÉ LES CORPS SAINTS. Paulette CAILLEUX Membre Marie Claude NOEL Secrétaire Manon et sa maman Yvette BONVARLET secrétaire adjointe René CAILLEUX Membre Marie Rose FLAMENT Membre Michel SRODESKI Membre René FLAMENT Membre Pascal BONVARLET Membre Max BENOIT Vice-président Claudette SRODESKI Membre Albert FRENNOY Trésorier Alain DEFEBVIN Membre Jean marc VERMOEREN Président. Derrière l’appareils photo, il y avait Chantal DEFEBVIN et Patricia VERMOEREN membres de l'association. 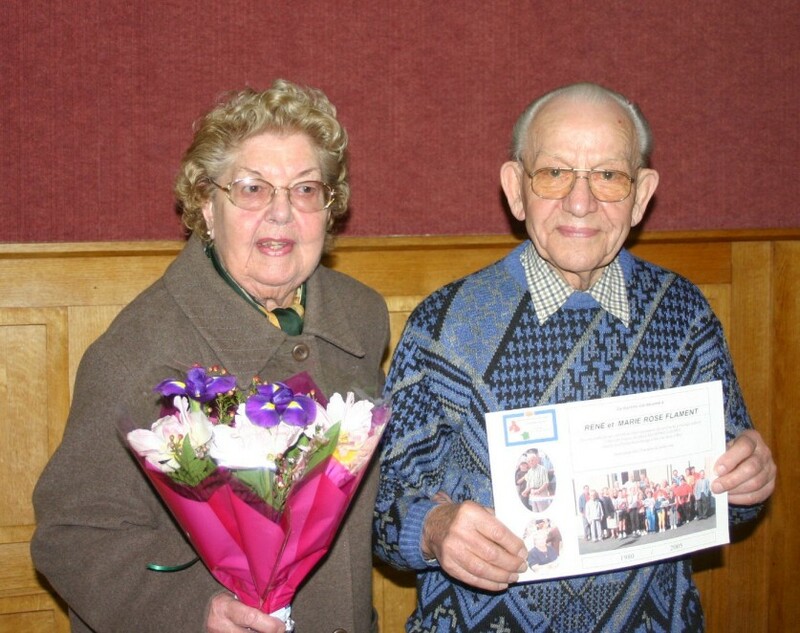 René and Marie Rose FLAMENT with their " diploma"
The new French committee present you its best wishes for the new year and look forward to their visit to Eastry on 5th 6th 7th of May 2006.
avec impatience le voyage pour rejoindre ses amis Anglais les 5,6 et 7 mai prochain .